Businesses don’t Google things, people do. Whether it’s B2B or B2C, your SEO strategy needs to be about the people you’re trying to reach. How will we satisfy our people? How will we convince Google that we can satisfy our people? As of March 2019, this guide ranks #1 for “B2B SEO,” so you’re in good hands. 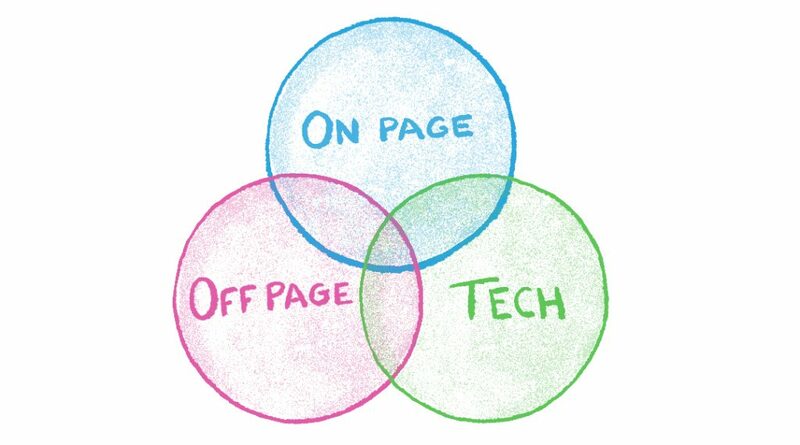 There are three general categories of SEO: on-page SEO, off-page SEO, and technical SEO. On-page SEO is everything that goes into making a certain page rank. This mostly deals with the content itself that you’re serving up—which is why some people call it “content SEO.” When you’re talking about keywords, user experience, titles and meta descriptions, you’re talking about on-page SEO. Off-page SEO is everything that happens on other Web pages that helps a certain page rank in search engines. There are several elements of off-page SEO, but links are the most important, and therefore the most commonly talked about. Technical SEO is (generally) the behind-the-scenes stuff. It’s making sure your website is friendly to the technology that powers search. When you hear terms like “schema,” “AMP,” and “SSL,” you’re in technical SEO territory. There’s a good deal of overlap here. For example, the faster your page loads, the better it will rank in Google—that’s both on-page and technical SEO. Or for another example, comprehensive, long-form content tends to include more keywords and get more links from reputable sites. That’s both on-page and off-page SEO. Although B2B companies should understand technical SEO, it’s not really B2B-specific. So this article pays much closer attention to on- and off-page SEO. Discover what people are searching for. Create something that can satisfy them. Convince Google that what you created can satisfy them. You’ll do this over and over in B2B SEO. Because B2B purchases tend to be significant, long-term investments, more people need to weigh in on the buying decisions. Practitioners, managers, and executives will each approach the decision with very different problems in mind—so you can expect them to be searching Google for very different queries. And depending on what you’re selling (and whom you’re selling to), that range of personas can get rather wide. I’ve worked with clients targeting as many as nine different personas when it came to organic search—it’s possible that you will need to target more. But you know how many times a month people Google “HVAC automation system”? About ten. The B2B space is smaller than B2C, and that means your SEO strategy needs to account for high-value, very low-volume keywords. This can be especially difficult for people with a lot of experience in B2C SEO. If you’re playing in a market with keywords that get more than 10,000 searches every month, then it can be easy to overlook the most important B2B searches happening in your industry. A good B2C SEO can spend 40 hours on a blog post that brings in 30,000 new organic search visits every month—and not need to do a great deal of keyword research. But a B2B SEO needs to spend a lot more time sourcing and grouping related keywords into topics that can be addressed with a single blog post—and even then, that post might only bring in a hundred new organic views every month. Of the 60,000 people Googling “window air conditioner,” a few thousand are going to buy a unit. But I bet zero property managers purchase a building automation system right after they’ve Googled “HVAC automation” for the first time. B2C SEO has more search volume and fewer decision-makers—which means it’s far likelier to convert a visitor to a customer. But the B2B space has a much longer sales cycle, more stakeholders, and higher prices. That means your B2B SEO content shouldn’t be built (nor expected) to convert cold organic visitors into sales. There may be some high–purchase intent searches in your industry that are the exception to this rule, but for the most part, people Googling in the B2B space aren’t ready to buy anything yet. They’re looking for the tools and information they need to do their jobs. That may sound like a downer, but it comes with an upside: B2B SEO tends to have less ecommerce competiton. If you’re selling a solution to consumers, you’re up against Amazon, Walmart, eBay, and other ecommerce giants when people Google your product category. Ecommerce SEO has some of its own best practices. 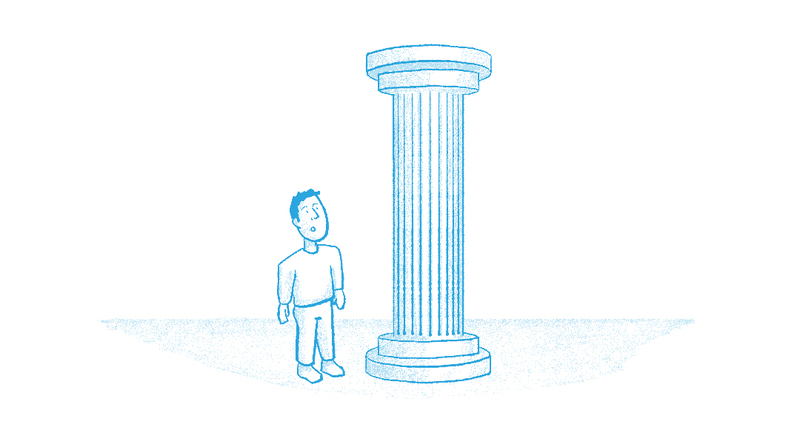 You optimize a product page differently than how you’d optimize a blog post. B2C SEOs usually need to take these into account when making their strategies. But there’s less ecommerce competition in the B2B space (a nice side-effect of longer sales cycles and higher prices). That means you tend to be competing with content and home pages more so than ecommerce product pages. B2B is a bit simpler on this front. Because B2B searchers aren’t likely to convert on their first visit, B2B SEO tends to be more about establishing the brand in the searcher’s memory than getting them to make a purchase. That means B2B SEO isn’t just about making sure your website shows up when people search for your product category. It’s about getting your audience used to seeing your website in the SERPs when they Google questions related to their job. SERP = “Search engine results page,” or the page that you see immediately after you Google something. A good B2B SEO strategy builds trust in your market. It shows the people you’re trying to reach that they can count on you to help them solve their problems. How will we satisfy that desire? How will we convince search engines that we’re satisfying them? The entire SEO industry is built around answering these questions. So we won’t answer them all in-depth here. Instead, let’s take a high-level tour through all three, with some specific dos and don’ts to keep in mind in the B2B space. SEO starts with understanding what people in your market are typing into Google and other search engines. You can rank for all kinds of keywords—but if nobody’s searching for them, they’re not going to do you any good. To do B2B SEO right, you should already know who your market is. You’ll likely need to account for specific types of decision-makers, practitioners, and other stakeholders in the companies you’re trying to reach. This gives you an idea of what jobs you’re helping people do, which is the key to making sure you’re focusing on relevant search terms. Keyword research can go on forever. I enjoy it a lot, but it’s not for everyone. Keyword research gets dizzying after a while, and it will eat up all your content strategists’ time if you let it. You will need a paid keyword tool. We’ll look at some free tricks for finding ideas, but if you want to do real research, expect to pay for the right tools. Ahrefs, SEMrush, and Moz are popular tools to use—I tend to rely on Ahrefs for the best data and SEMrush for speed. First thing you want to do is get an idea of what you’re already ranking for. You can grab this data from the Google Search Console, or from your keyword tool. When you export that list, you’re going to want the keywords you rank for, the URL that ranks for each keyword, the position that URL ranks in the SERPs, and the keyword’s search volume. Search volume = How many times a month people enter a keyword into search engines. With this list, you’ll know where you’re showing up in the SERPs. This is important because you don’t want to create new content that competes with what you already have. If you rank at the bottom of page 2 for a certain result, you may not need to start from scratch—you might just need to brush up your existing content. You’ll reference this list as you compare the keywords you rank for to what people are already searching for in the market. Do the same thing with your competitors’ websites that you did with your own. A good SEO tool will allow you to export all that data into a spreadsheet. Same story, different kind of website. Depending on your industry, there may be some publications in your niche that are attracting a lot of organic traffic. It doesn’t hurt to see where that traffic is coming from, either. So for example, if you were trying to reach business leaders in the fintech niche, you would probably want to see what kind of keywords fintech blogs like The Financial Brand and Daily Fintech rank for. Sometimes there are players in your space who aren’t competing with your product. But they are really hitting content out of the park. It’s important to get an idea of what they’re ranking for, too. You don’t need to do this for every single complementor in your space. But if there’s a non-competitor whose blog is really popular in your market, you should find out what they rank for. Sometimes you just have a hunch that people are looking for something. Maybe it’s a frequently-asked question that you hear a lot in real life. Maybe it’s a problem that has kept you up at night, and you don’t think you’re the only one. Intuition is a phenomenal source of keywords—but don’t stop there. Plug those gut-instinct keywords into your SEO tool, and check out what sort of search volume they get. Export similar, related, and suggested keywords as well. Ahrefs is particularly helpful on this front. I wanted to know what kind of stuff people were Googling on the topic of employee engagement surveys. So I looked it up in their keyword explorer. If you’ve pulled all this keyword research from your industry, you’re probably sitting on thousands of keywords. Maybe even tens of thousands. Time to whittle that sucker down. First, throw out any keywords that don’t have anything to do with your market. For example, there are 37,000 monthly searches for “engagement”—but odds are those people aren’t looking for employee engagement resources. So I can throw that one out. The real job here is to take inventory of what people are really looking for. The keywords just give you an idea of the vocabulary your market uses. You need to look past that, and start grouping these keywords by search intent. Search intent = the objective someone has in mind when they search a certain keyword. As you go through those keywords, take note of the specific intents that people have. For example, people looking for “best building automation systems” are probably on the hunt for multiple BAS options. People looking for “improve office air quality” are looking for tips to, well, improve the air quality in their office. By this point in the game, you’ll have done your homework. You’ll know how people find you, your competitors, and other players in your space. You’ve started wrapping your head around the kinds of things that your market is looking for when they use Google for work. Group keywords by intent. You don’t want to waste time writing a new blog post for every single individual keyword. Instead, assign each keyword to a general search intent. Consider the difficulty. Most SEO tools will give each keyword a “difficulty score” of some sort. The lower the difficulty score, the easier it is to rank for the term. SEO tools make this score by weighing different factors on the currently-ranking content, like links, domain authority, etc. Factor this into the mix as you’re grouping keywords, so you can grab the low-hanging fruit. Prioritize relevance over search volume. Fifty highly relevant views can be far more valuable than 50,000 views from people who won’t even remember you. In fact, expect to chase low-search volume concepts. This is B2B SEO, so odds are good that your market is small enough for the truly golden keywords to have very low search volume. You’ve determined what your market is looking for. Now it’s time to figure out how you’re going to give it to them. 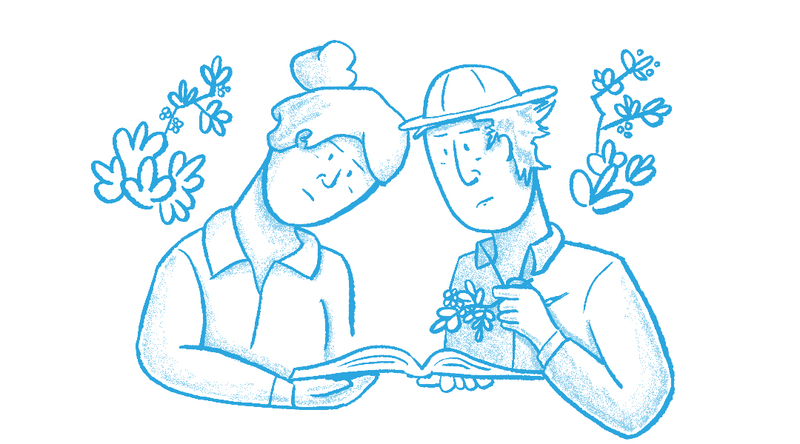 Like with keyword research, there’s a lot of nuance to explore beyond the scope of this post. But this will give you the gist of the most common ways to satisfy those searches. Add your product category to your home, pricing, and features pages’ <title> tags. List your product on review sites (if you make software, you better be on G2 Crowd and Capterra), and ask your customers to review you. Reach out to people who manage “best of” lists in your industry, and ask them to add your product (with a link to your home page) to their appropriate lists. Now that we’ve covered the obvious, let’s look at how to gain traffic for those other topics you grouped together. Often times businesspeople use Google to get the big picture of something. They type in a relatively broad concept (like “remarketing” or “blockchain”) and hope to get an idea of what it’s all about. You’ve probably done this yourself. Ever been in a meeting when someone casually mentions something you’ve never heard of? You Google that sort of stuff after the meeting to figure out what it was, and how it relates to your job. 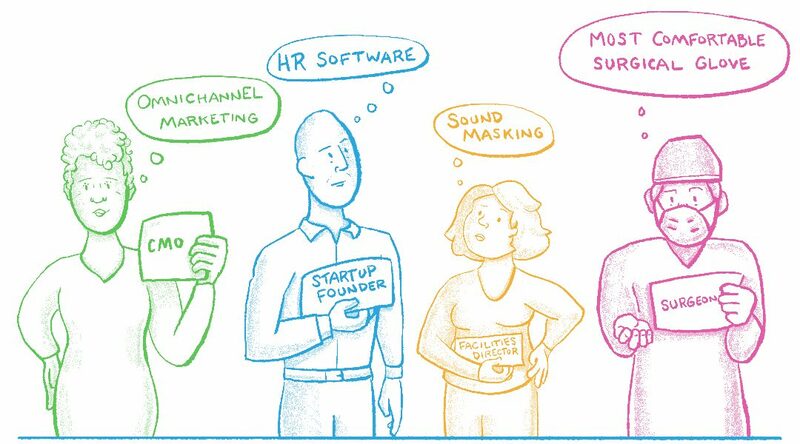 Now get this: people do this when they hear about what your company does, too. And that leads to the people in your market Googling those keywords. You want your website to be where they learn what they need to know. What should I remember about this? This sort of content usually needs to be sales-free: it’s all about educating the reader. That’s standard for B2B SEO. You write long, authoritative, super-educational pieces that help people in your market understand what exactly it is you can help them do before you try to sell them anything. This sort of content goes by a few names, but the two you’re most likely to hear in the industry are cornerstone content and pillar pages. Cornerstone content / pillar pages = pages that give the reader a comprehensive overview of something you help them do. Marketo helps companies generate and engage leads, so they wrote the Complete Guide to Lead Generation. Buffer helps social media marketers, so they published the Complete Guide to Instagram for Business. Control Solutions helps commercial property managers get set up with building automation systems, so they wrote the Ultimate Guide to Building Automation. Odds are low that a marketing manager is going to lock in a Marketo subscription after having just Googled “lead generation.” But thanks to Marketo’s complete guide to the subject, she has a much better idea of what to look for in a lead-gen solution moving forward (and she knows Marketo is a brand she can trust for lead-generation help in the future). This is the kind of content that takes a narrower, more specific approach. It tends to dial in on a certain process in a long-form “how to” fashion. Another common expression is the “best-of” listicle, which gives readers a host of examples, tips, or recommendations for handling a certain problem. These kinds of posts also tend to be long-form (2,000+ words), and if you’re solving a common problem in your industry, they tend to get a good deal of social media shares and backlinks. Backlinks = Links from another site to content on your site. We’ll talk a bit about backlinks in more detail in the next section, but for now you just need to know that having links from reputable sites helps you rank in SERPs. Like cornerstone content, deep tactical content tends to be more about education than persuasion. However, deep tactical content does give you a chance to showcase your product in ways that cornerstone content usually doesn’t. For example, let’s say you’re selling a CRM for dentists. You’re writing a deep tactical post on how to give patients a calming waiting room experience; it’s just a list of simple tips that a dentist office can easily implement. The real trap to avoid is to make your number one step in a deep tactical post “get our product.” If your content isn’t valuable until the visitor makes a purchase, people will leave right away. That only drives your bounce rate up, and your rankings down. There’s a chance that your market might have a question that doesn’t have a catch-all answer. For searches like these, lightweight tools can get you a long way in search. They’re looking for an answer specific to them—and that’s going to depend entirely on the building layout, the climate, the occupancy, etc. You can’t give them exactly what they’re looking for in a blog post. But you can create a simple calculator that allows them to get the answer they’re looking for—without needing to do the math! Be empathetic. Empathy is an SEO superpower. Focus on the person searching. What are they truly looking for? If you were Googling something similar, what would delight you? This will protect you from the trap of turning every piece of content into an unhelpful infomercial. Do NOT expect this to be easy. Creating content that ranks is tough work—and the more your competition knows about SEO, the tougher it gets for you. Do NOT expect fast results. You might put weeks into a post. And Google isn’t always in a hurry to move your page to the top of the results. Although I have seen B2B articles climb the SERPs quickly in small niches, it usually takes years to show up on page one. Write one post per search intent. If you grouped your keywords well, you’ll have a list of intentions your audience is bringing to Google. Think of each piece of content you make as having one job to do for the people Googling something. Focus on making one piece of content that meets that need, instead of many. Watch out for content creep. Content creation will eat up all the time it can. It’s easy to stretch a piece of cornerstone content out for weeks or months as you try to get it just right. Set a scope for large content pieces, and stick to them. You can always come back to improve them later. Associate your content with the most credible person in your organization. It’s one thing to publish an epic deep tactical post. The game changes if it’s written by (or ghostwritten for) someone your industry recognizes as an expert. People are more likely to read, share, and link to content that’s coming from a credible source. Plus, whoever writes your content isn’t just building your brand’s authority—your audience is going to start recognizing their name, too. Make a content calendar. There’s not a big SEO benefit to producing content on a schedule. But there is a huge SEO benefit to producing content, and a schedule will help you do this consistently. Cornerstone content, deep tactical pieces, and tools can take a long time to create. Plus, in-house marketers often struggle to prioritize content production if it’s not their main job. A production schedule can help you keep the content machine running. Not every piece of content needs to rank. If you have a 400-word post that will entertain, enlighten, and engage your audience, ship it! Not every piece of content you make should be an SEO workhorse. In phase one, you discovered what your audience was searching for. In phase two, you made content that can satisfy those searchers. Most of the hard work is done. Now you need to check some boxes to help search engines recognize that you created something that will satisfy your audience when they Google those keywords. If you can do that, then your content will climb those SERPs and start winning all that sweet, sweet B2B organic traffic. Again, there’s a TON that could be said on this, but if you start by focusing on these areas, you’ll have most of your bases covered. Google’s getting smarter all the time. It’s not just looking for a specific keyword being used over and over in the content. In fact, you’ll stand a greater chance of ranking by naturally using a wide swath of vocabulary associated with the topic you’re covering. So if you’re writing a piece on flat roof coverings, you’ll want to mention terms like asphalt, EPDM, modified bitumen, and vinyl. This makes sense when you think about how human conversation works. Imagine you’re at a local brewery and you overhear two conversations. In the first conversation, two people talk about how much they love beer. They love dark beer and strong beer and beer that’s not too bitter. In the second, two people discuss how much they love beer. But one of them prefers IPAs, and the other is more of a pilsner fan. They both enjoy a hoppy taste, they’re not too keen on stouts or porters, but they can tolerate a good winter warmer every once in a while. Which of those groups would you assume knew more about beer? Probably the latter—specifically because instead of overusing the word “beer,” they’re using specific beer-related terms. So when you’re writing authoritative content, use authoritative language. One thing that influences a page’s ability to rank is click-through rate. Write a meta description that draws people in. For people that read your title but aren’t quite convinced, give them an extra push with a 300-character description of what they’ll learn if they check out your content. One of the best ways to tell Google your content is worthy of organic traffic is to get other websites to link to it. This process is called link building. Links work in B2B SEO similarly to how word of mouth works in real life. You’re more likely to try a new product, watch a movie, or visit a vacation destination if you’ve heard other people talking about it. The more people you hear talking about how much fun they had in Iceland, the more you want to go to Iceland. You can find plenty of tactics for building links to your content online, but there’s really just one principle that you absolutely need to take to heart: attention begets attention. It’s far easier to get visits, links, and shares by telling your existing audience about your content than it is to make every piece of content win its own audience. So when you make a new post, promote it to your subscribers, your employees, your customers—anyone who might find it relevant and valuable. Make a strategy. Do great research. Write stellar content. Set it up to win. And watch the organic traffic pour in. this is the best article about B2B website seo and marketing.